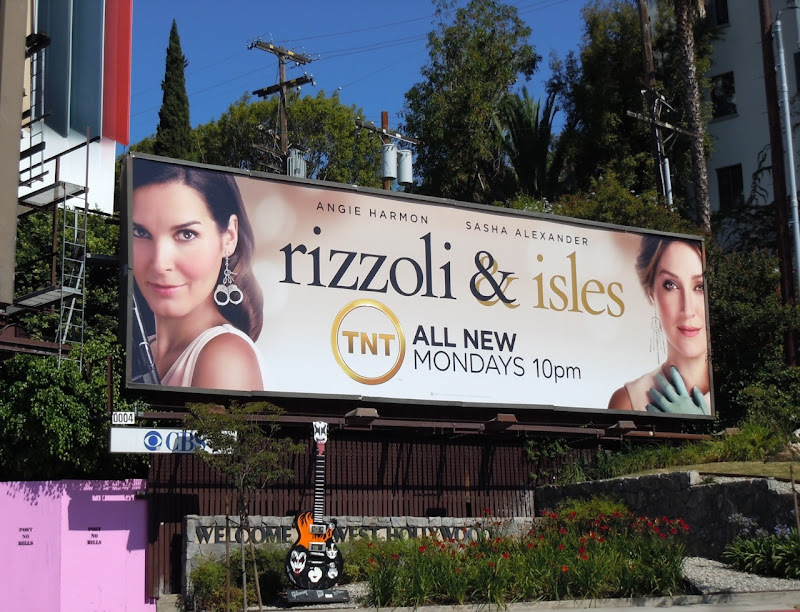 Crime-solving duo Rizzoli & Isles are back to bust more Boston criminals in third season episodes of their TNT series and with a new billboard to boot. 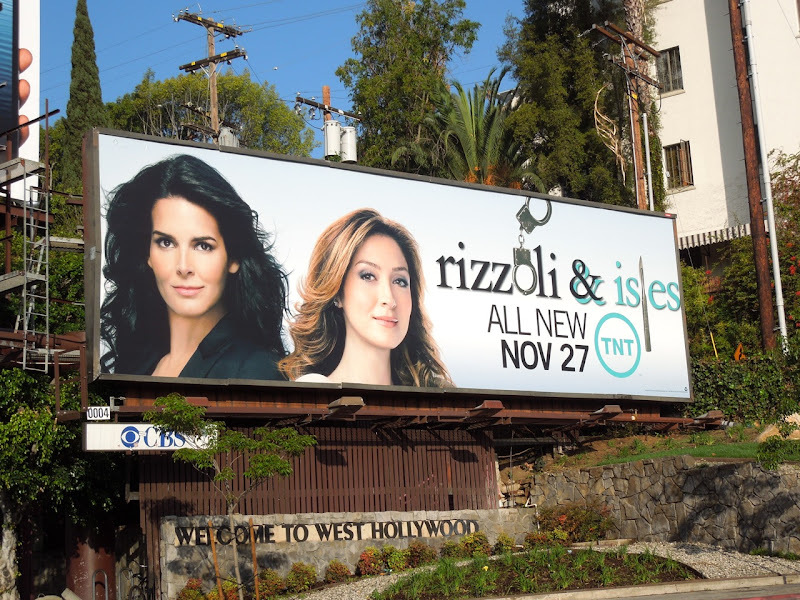 Based on characters created by the best-selling crime author Tess Gerritsen, Angie Harmon stars as the tough-as-nails Boston police detective 'Jane Rizzoli' and Sasha Alexander plays the other half of the equation and her complete opposite, medical examiner 'Maura Isles'. The season three creative uses visual prompts of handcuffs and a scalpel in the show's title to help convey the duo's professions, whilst the second season billboard was a bit more subtle with similarly themed earrings (plus a gun and surgical glove) for the women. 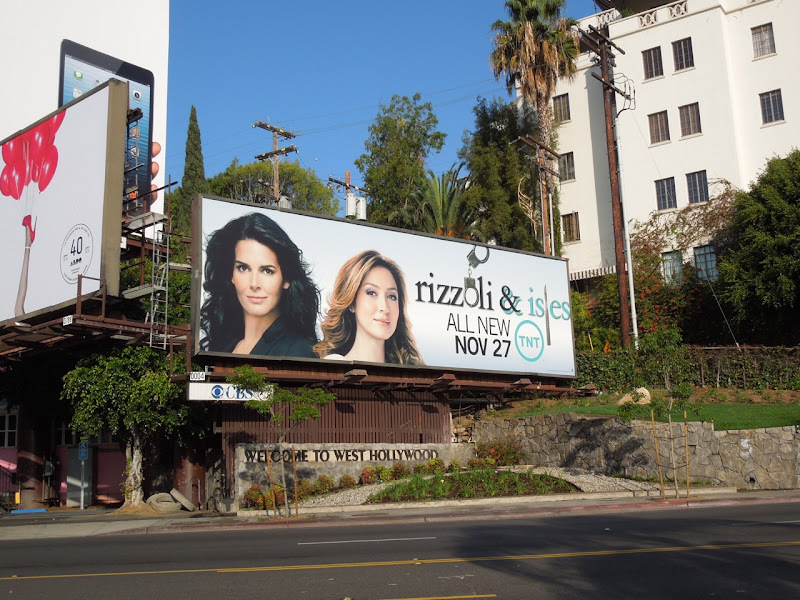 The third season billboard was spied along Sunset Boulevard on November 22, 2012, whilst the season two billboard was spotted in the same location beside the Chateau Marmont Hotel on July 17, 2011.